A typically gray January day turned to thoughts of summer in an instant on Monday, January 21st, 2019 when one lucky Oregon couple visited their realtor’s office. 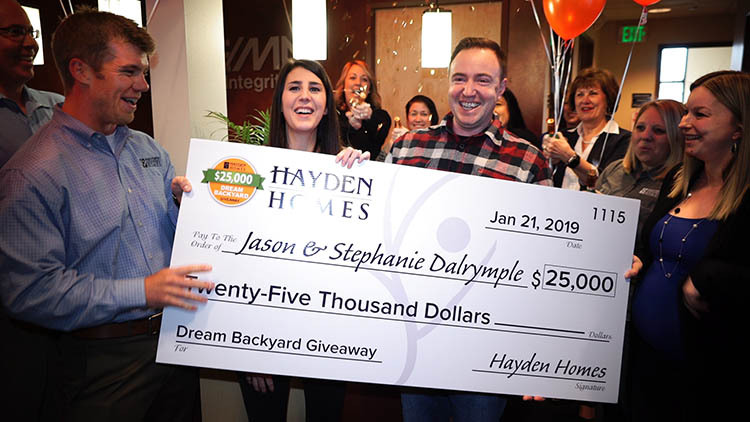 They walked into a surprise celebration to learn they’d won the $25,000 Dream Backyard Giveaway from Hayden Homes. Jason and Stephanie Dalrymple of Albany, Oregon thought they were simply going to the Corvallis, RE/MAX office to give a testimonial about their homebuying experience. “I’m still in shock!” said Stephanie Dalrymple. 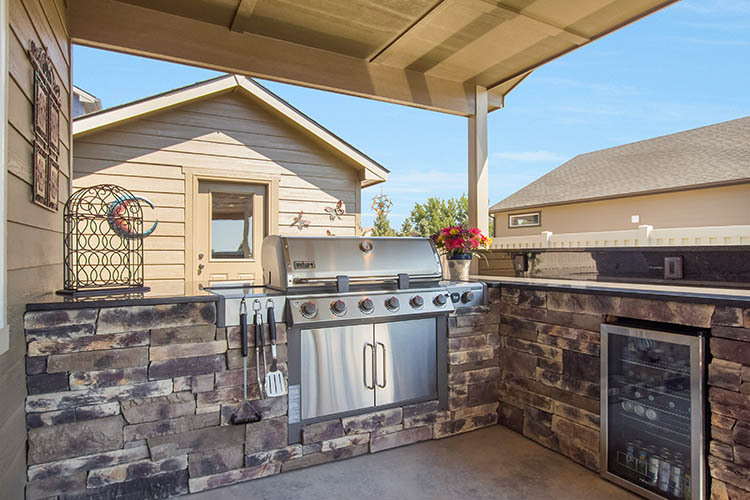 “We think an outdoor kitchen would be really cool – we love having our friends over”. 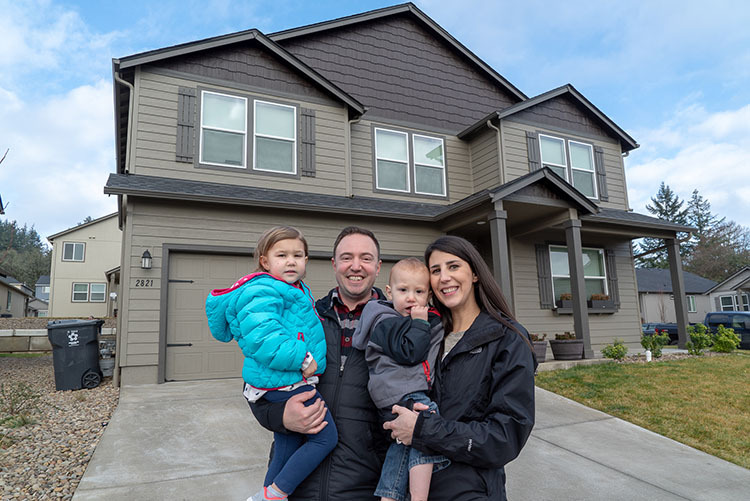 The Dalrymple’s purchased their home in Hayden Homes’ White Oak community in July 2018 and entered the drawing along with 8,500 other people who stopped by a Hayden Homes model home in Washington, Oregon or Idaho, or visited the Hayden Homes website during the Backyard Giveaway promotion. The couple, along with their two children, have been in their new home since August of 2018 and can’t wait to create their own backyard paradise. They will work with Hayden Homes’ CEO, Dennis Murphy, to design their outdoor space beginning with a meeting this spring. The meeting will allow the Dalrymple’s to envision and dream up their new backyard. It could be anything from a super-sized playland for the kids, to an outdoor kitchen and lounge area. Work will be complete, so the Dalrymple’s can enjoy their new, dream outdoor space this summer. Stay tuned for more updates and progress photos as the Dalrymple’s embark on their Dream Backyard journey.